There is a debate raging over the production and use of alternative fuel sources with scientists and activists arguing on both sides. It is important in our modern society to understand the advantages as well as the disadvantages of using alternative fuels to power our way of life. Ethanol is a grain-based alcohol that has been used to supplement petroleum production since the 1970's. Ethanol is a liquid hydrocarbon, similar to gasoline, and therefore is considered an easy replacement for gasoline. The advantage of ethanol is that it is renewable, it is produced domestically, and it is cleaner burning than petroleum. Since ethanol is derived from grains, and grains are abundant in the United States, the argument is that excess corn should be turned into ethanol to help wean the United States off imported oil. The disadvantage for ethanol, however, is that it is very expensive compared to gasoline, costing 3 times as much to produce a gallon of ethanol than it does to produce gasoline. Additionally, current agricultural practices rely heavily on petroleum-based fertilization, thus undercutting the value of ethanol as an energy alternative. Hydrogen is the most abundant element in the universe; it is what makes stars burn and it is present in all life forms. Hydrogen fuel cell cars have been touted as the next step in engine and transportation technology. The advantage of hydrogen is that it is relatively plentiful on earth, considering 70% of the earth's surface is covered in water. Hydrogen carries a lot of energy in its elemental form and, when introduces to oxygen and heat or an electrical spark, creates heat and water. There is no carbon-based emissions associated with hydrogen cell usage and the only byproduct is pure water. The disadvantage of hydrogen as an alternative fuel is that it is difficult to produce. For example, in order to extract hydrogen gas from water, the water must be purified, then a strong electrical current passed through the water, and the gas must be captured and stored in a non-conductive, sealed container in order to prevent accidental explosions. Bio-diesel is a food- or plant-based diesel similar to ethanol, but requiring less processing than ethanol. Bio-diesel tends to burn more cleanly than petroleum, and is fairly available considering the amount of food and plant material available in modern society. The advantage of bio-diesel is that it requires minimal conversion of existing diesel technology to implement. 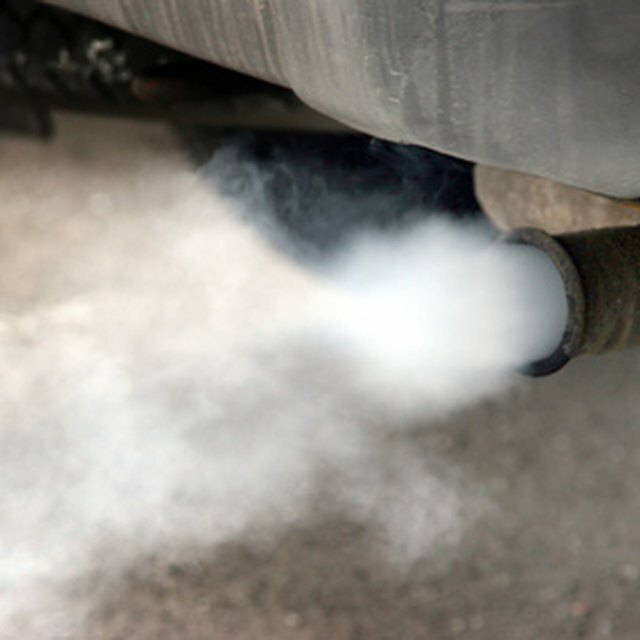 This means that all diesel-powered vehicles can run on bio-diesel without special equipment. Another advantage of bio-diesel is the plethora of possible sources; some private individuals have converted used frying oil into bio-diesel to run their vehicles, for example. The disadvantage of bio-diesel is similar to the disadvantage of ethanol; the current agricultural practices rely too heavily upon petrochemical fertilizers to allow true oil independence. Additionally, the use of non-food plant material produces less bio-diesel than food based sources, meaning that food must be converted into fuel rather than eaten. Methanol is a liquefied form of methane, a naturally-occurring gaseous hydrocarbon produced by decomposition. Currently, methane is burned as a 'waste" gas at oil drilling platforms, coal mining sites, land fills, and sewage treatment plants. The advantage is methane, and its derivative methanol, is that it is extremely plentiful; drilling for oil, mining coal, and the decomposition of organic matter all produce methane already. As a hydrocarbon similar to propane and petroleum, methane is a very powerful, explosive gas that can easily take the place of petroleum without marked decline in power or major retooling of existing technologies. The disadvantages of methanol is the process by which methane is converted into a liquid at normal temperatures; by mixing methane with natural gas and gasoline, methane is converted into methanol. But the need for gasoline does not entirely wean the United States off of oil, so its "alternative" status is questionable. Additionally, the process to capture, store, and convert methane is prohibitively expensive compared to gasoline. Electric vehicles use banks of rechargeable batteries to power their systems and move the car along America's roads. Typically, electric cars are plugged in when not in use so as to recharge batteries for the next run. The advantage of electricity is that it produces no waste products when used; electric cars have no tail pipes which emit any kind of gas or waste that can harm the atmosphere. Additionally, electricity is produced domestically and can not be imported with any feasible profit, making the United States independent of imported oil. There are many disadvantages to electric cars, however. First, the range of electric cars is severely limited; typically 200 or so miles is the highest range of an electric car at present. Also, the cars need to be recharged, which can be a relatively slow process making long-distance trips impractical. Finally, because the majority of electricity generated int eh United States comes from coal, a fossil fuel, the increased demand of millions of electric vehicles naturally would increase demand on the electric grid and thus increase demand for carbon-based waste gasses would offset any benefit of electric cars. Hinckley, Michael. "Advantages & Disadvantages of Alternative Fuels." Sciencing, https://sciencing.com/advantages-disadvantages-alternative-fuels-4779842.html. 24 April 2017.